POMONA — The largest ramen event is returning to Southern California. Ramen Yokocho will takeplace Saturday and Sunday, Oct. 18-19, from 11 a.m. to 9 p.m. at FairPlex Pomona, 1101 W. McKinley Ave., Pomona. The best ramen shops from Japan and the U.S. will there with 12 kinds of ramen dishes, each with different broth, noodles and toppings. Organizers promise an epic ramen experience. From Kyushu, where tonkotsu ramen was born, two ramen shops will create their special bowls. From ramen hot spots Tokyo and Osaka, renowned ramen chefs will bring both traditional and innovative noodles. From America, the Ramen Burger chef, Keizo Shimamoto, will bring a very special ramen. Also, the best-selling ramen shop in America will participate. 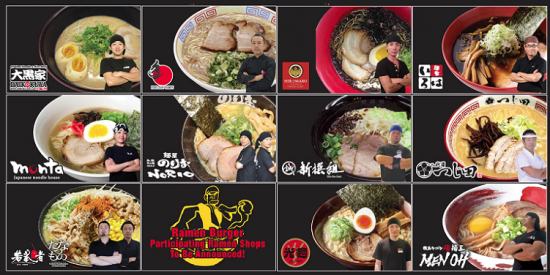 For more information, call (310) 320-1823 or visit www.ramenyokochous.com or Ramen Yokocho’s Facebook page.